your head as to what sails to use? Don't worry you're not the only one. Use our sail selector to help. Lidgard Sails No.2 Headsails are commonly used in conditions 10 - 22 knots of breeze. They are slightly flatter and finer than a No.1 Genoa allowing superior performance in a building breeze. Our Code Zero Headsails are made from the best fabrics available for minimum stretch and maximum performance and often have 55-60% mid girth. All our Code Zero's come standard with a torque luff line to act as a removal forestay and aid sail furling. An A4 is a mast head heavy weight cloth running Gennaker. Usually constructed from 1 ounce Spinnaker cloth. Suitable for offshore Yachts and Grand Pre race yachts that are often pushing the wind limits for a mast head Gennaker. Lidgard Sails A7 Gennakers are a traditional heavy air Gennaker. 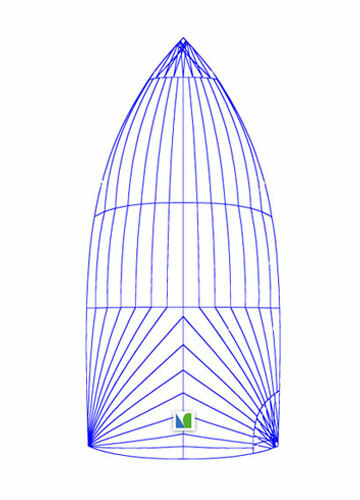 A7 Gennakers are flat cut with a tight luff and reduced area making these sails perfect for open ocean blast reaching / heavy air running. Lidgard Sails S1 Spinnakers are flatter and have a slightly reduced area from a S2. These sails are used for chasing the breeze in light pole forward conditions. S1's are usually constructed from .4 or .5 ounce Spinnaker nylon. Lidgard Sails S4 Spinnaker is a heavy air runner 1.5 oz cloth built for 25 plus knots of wind. 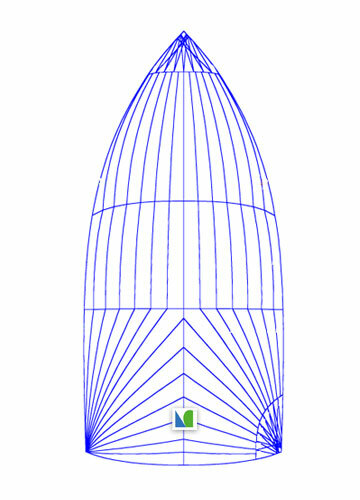 Used primarily for heavy air conditions S4 Spinnakers have a reduced sail area and are often referred to as the "chicken chute". 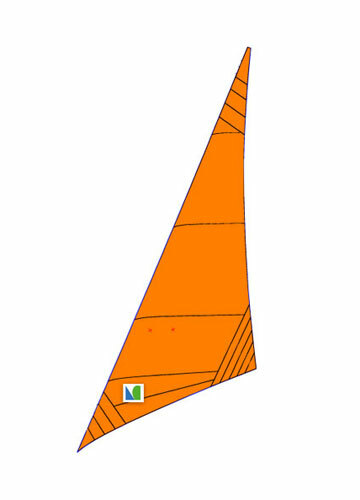 All new Storm Sails are made from orange Dacron however boats over 60ft often require specialised cloth that is not available in storm orange. 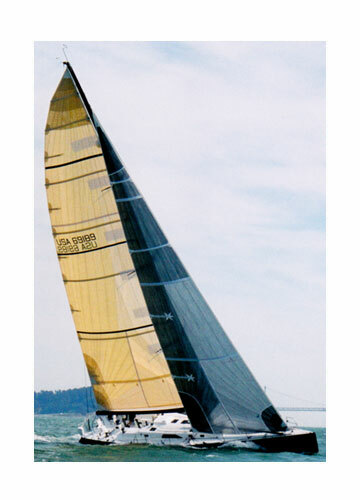 Storm Trysails manufactured by Lidgard Sails include metal sail slides and trimming sheets. XCEL Sail laminates are individually designed and manufactured for your boat and conditions. XCEL sail laminates are lighter, stronger, and hold their shape longer. 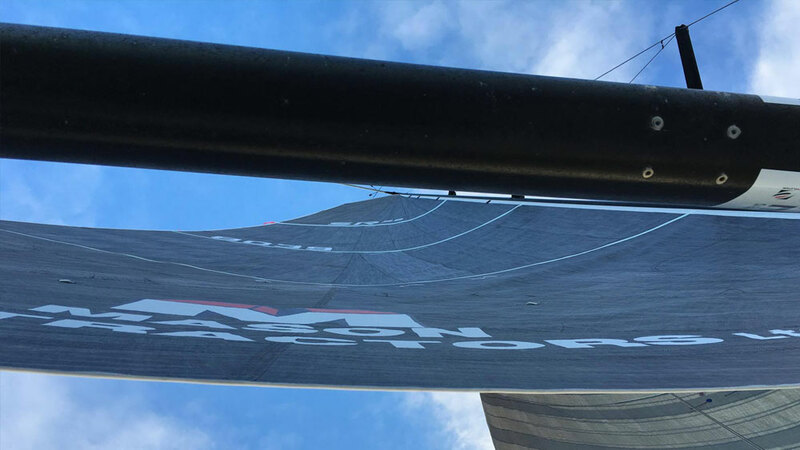 When talking about racing sails, at the end of the day, the performance of a sail comes down it's SHAPE and it's ability to maintain that shape when loaded up under pressure. 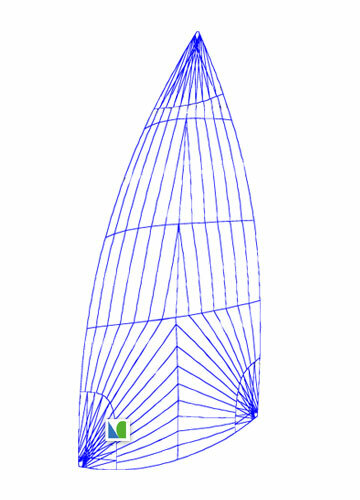 So to design a sail with the right shape, it's first important to understand how the yacht to loads up and places pressure on the sails. This is why the relationship between you and your sail maker is vital to get the most out of your yacht. 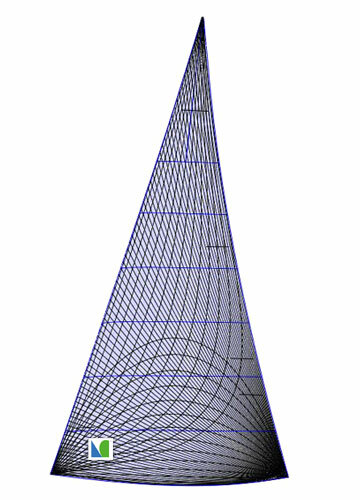 If shape is what makes a sail great or not, a sails ability to maintain it's shape is therefore integral to its performance. This is where fabric choice matters. A carbon fibre will hold it's shape when loaded up where a woven polyester will stretch. A yacht weighing 5ton will stretch a polyester sail where a dingy weighing 30kg probably won't. Sailing around the world in large ocean swells will place different strains and rigours upon the sails than those that race around the harbour. Some fabrics are tough and will last multiple years and others are good for a single regatta before performance is lost. 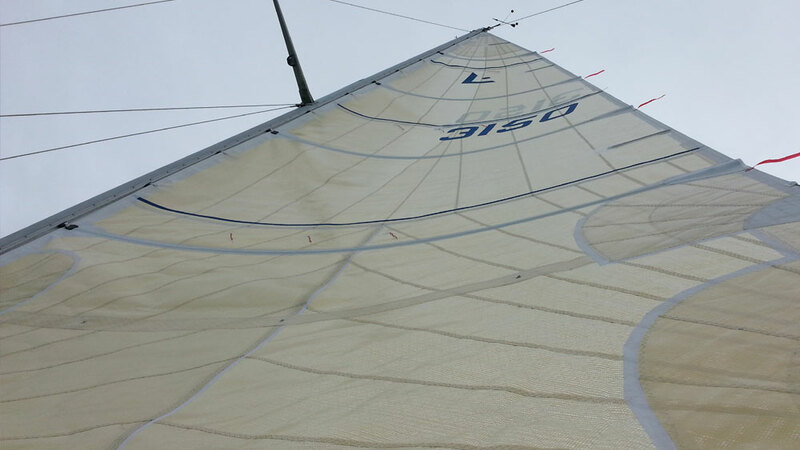 Lidgard Sails Tri-Radial Mainsails have superior performance and longevity. 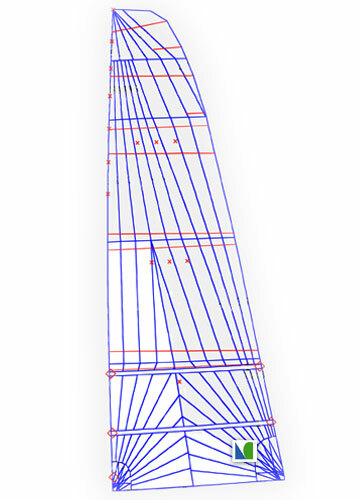 This is through superior design using our own Sailmaker 3D software. Our ability to align panels and the fibers to guarantee ultimate strength and durability. This gives our customers quality sails that will give you the leading edge. 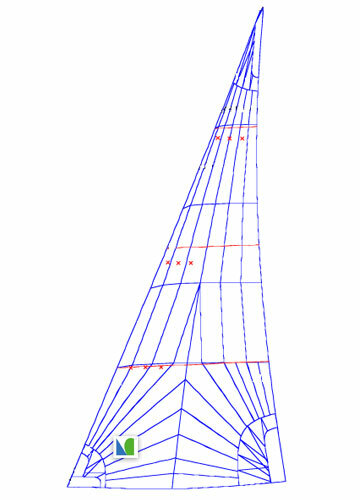 Lidgard Sails Cross Cut Mainsails are constructed from the highest quality Dacron materials. Our sails are designed for performance and longevity. 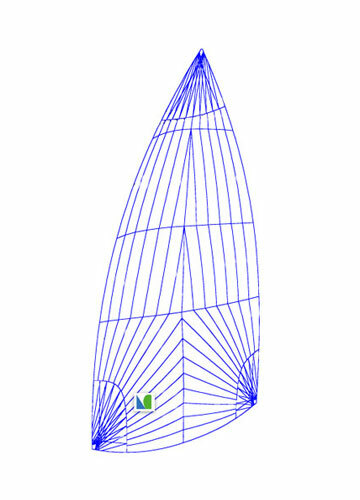 Whether you are a One-design racer or an offshore cruiser we can custom design sails for your yacht with our own Sailmaker 3D software. 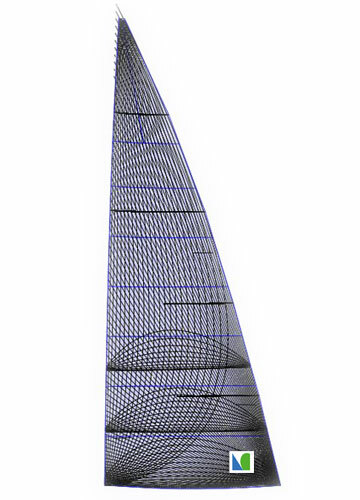 Lidgard Sails have been at the forefront of Square Top Mainsail development for over 10 years. 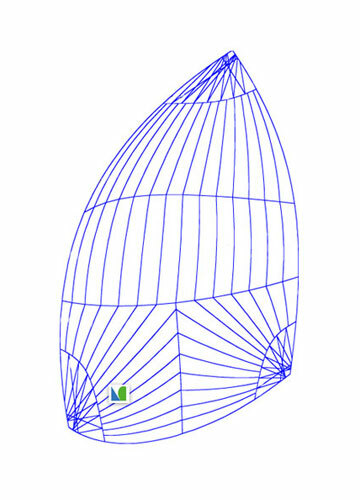 We have made large Roach Mainsails for all types of yachts from Maxi Cats, GP Keel Boats, Multihulls, Americas Cup yachts and Skiffs to custom built IRC racers. 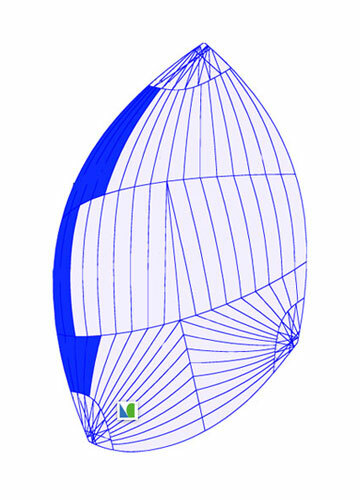 XCEL’s advanced fiber aligned sails make load path technology available for all sized yachts. 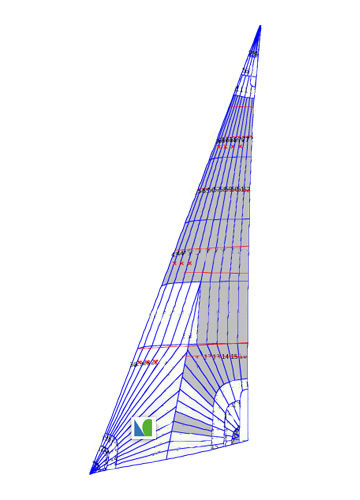 In combination with Sailmaker 3D software and innovative engineering XCEL sail laminates we can manufacture custom membrane sails for your yacht giving you the leading edge. 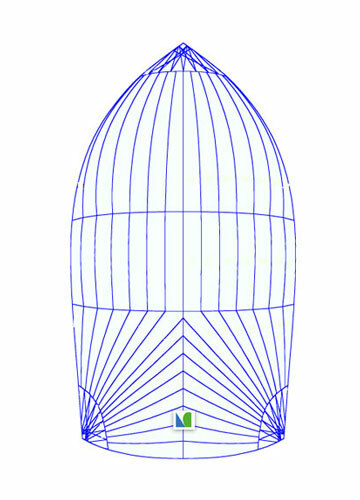 Lidgard Sails No.1 Headsails are full size sails designed for conditions ranging from 0 to 12 knots. These sails have a power full draft and full entry to give maximum performance in light air conditions. We understand all boats have different needs and we custom build and design our No.1 Headsails to offer the customer the best performance for their type of yacht. 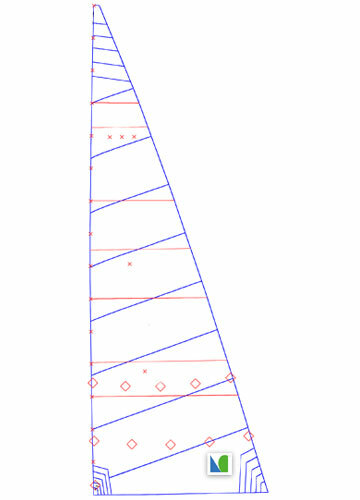 Lidgard Sails No.2 Headsails are commonly used in conditions 10 – 22 knots of breeze. They are slightly flatter and finer than a No.1 Genoa allowing superior performance in a building breeze. 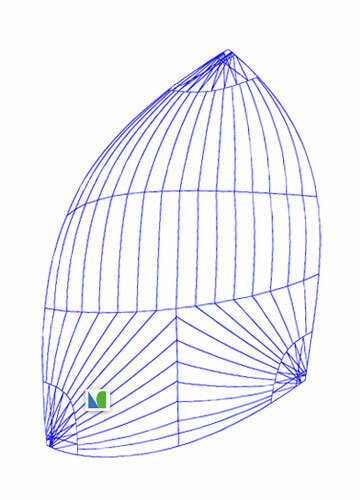 We understand all boats have different needs and we custom build and design our No.2 Headsails to offer the customer the best performance for their type of yacht. 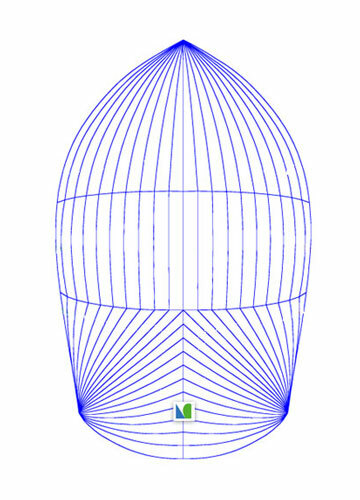 Lidgard Sails No.3 Headsails are commonly used in conditions 18 – 35 knots of breeze. Our No.3 Headsails are often battened to support the leach of the sail offering superior sail shape in heavy breeze. This improves sail shape long term and gives better performance in heavy air conditions. We understand all boats have different needs and we custom build and design our No.3 Headsails to offer the customer the best performance for their type of yacht. Lidgard Sails No.4 Headsails are commonly used in conditions 30 – 45 knots of breeze. All our heavy weather headsails are designed and built to withstand the harshest of conditions whilst not sacrificing performance. 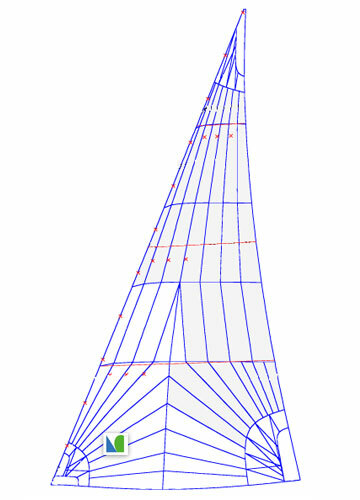 Usually with a reduced luff and foot length to decrease sails area. 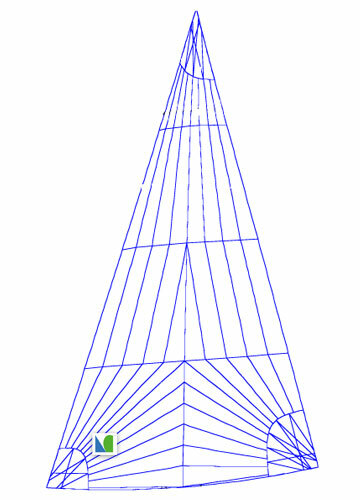 Our sails include extra reinforcing and head pennants as necessary. 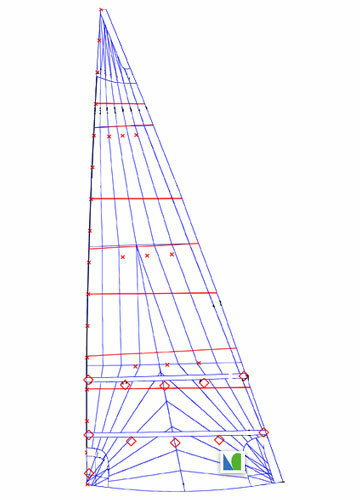 We understand all boats have different needs and we custom build and design our No.4 Headsails to offer the customer the best performance for their type of yacht. Lidgard Sails Windseeker Headsails are; super lightweight sails for very light air sailing. They are commonly used for lake sailing, offshore sailing, and coastal racing where getting the maximum performance out of you yacht in light air is a priority. These sails can be fully battened with a large roach. This generates a huge amount of power in light air conditions and can often make the difference giving momentum in trying conditions. Usually constructed from Code Zero laminate or very light film to film srim fabrics. 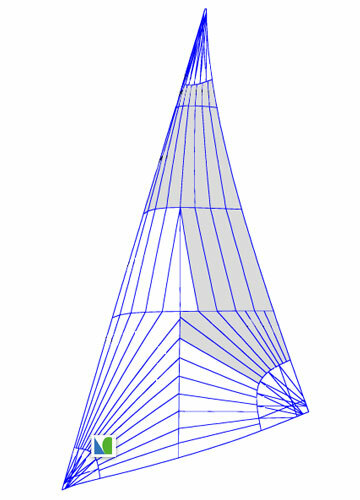 Jib Top Headsails are commonly used on racing boats and ocean going yachts. These sails are constructed to the same area as a No.1 Genoa often with a high clew so that the sail can be sheeted outboard. 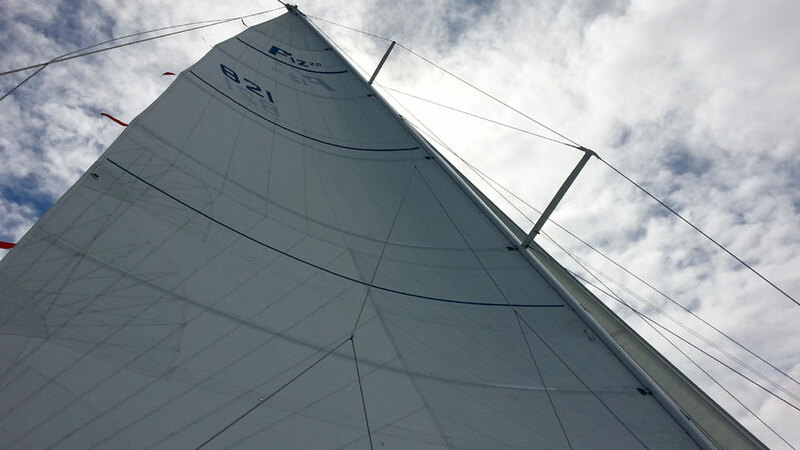 Jib Tops are power full sails with a deep draft and full entry best suited to reaching conditions. We understand all boats have different needs and we custom build and design our Jib Top Headsails to offer the customer the best performance for their type of yacht. 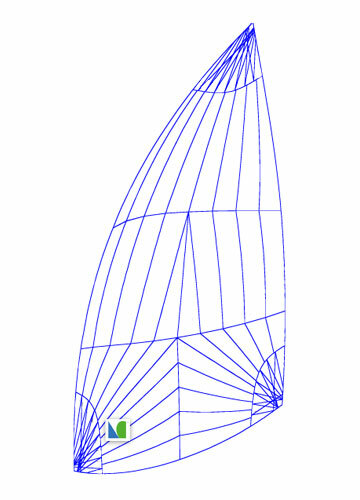 Code Zero Headsails are a tight luff up wind sail used to generate extra power in light air conditions. An upwind Code Zero does not measure as a Spinnaker and would require declaration under most measurement systems “as the biggest Genoa”. Our Code Zero Headsails are made from the best fabrics available for minimum stretch and maximum performance and often have 55-60% mid girth. All our Code Zero’s come standard with a torque luff line to act as a removal forestay and aid sail furling. 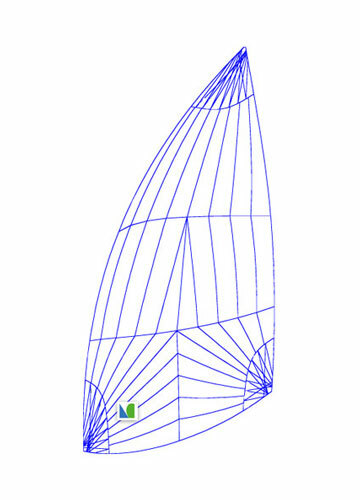 We understand all boats have different needs and we custom build and design our Code Zero Headsails to offer the customer the best performance for their type of yacht. Genoa Staysail’s can be used for racing and cruising yachts. 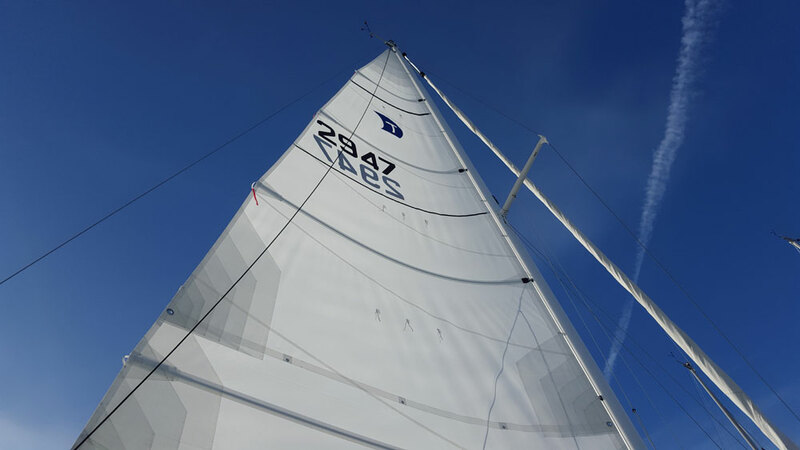 On a racing yacht a Genoa Staysail is used in conjunction with a Code Zero or a Jib Top to improve reaching performance and increase the air flow between a the Headsail and Mainsail. 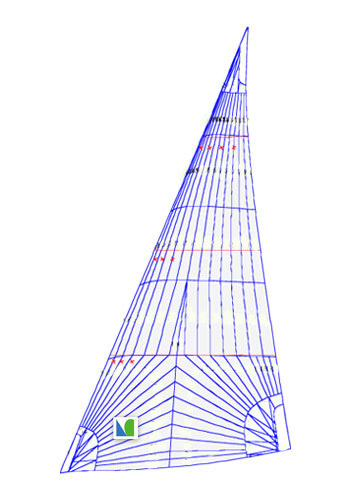 We understand all boats have different needs and we custom build and design our Genoa Staysail Headsails to offer the customer the best performance for their type of yacht. 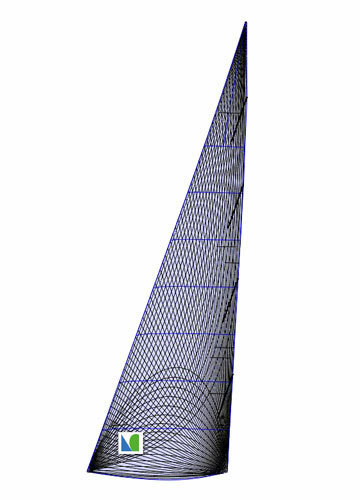 Lidgard Sails A0 Gennakers are primarily used for tight angle reaching. Constructed from Code Zero laminate and an A0 has a 75% mid girth to meet international sailing regulations for sail measurement. These sails can be furled and have a custom luff rope to ensure a tight luff and maximum performance. An A0 is a hugely powerful sail that can greatly improve a yachts performance reaching in light and heavy breeze. Lidgard Sails A1 Gennakers are performance light air sails. They often have a tighter luff that enables the sail to stay set in light breeze and rolling swells. Constructed from .5 ounce nylon cloth to keep the sail light and easily flown. An A1 Gennaker has reduced shoulders and is usually a flatter sail to reduce stalled wind in the Gennaker and create wind flow. Lidgard Sails A2 Gennakers are full size running sails. These sails have maximum luff length and shoulder width to optimize performance running downwind. 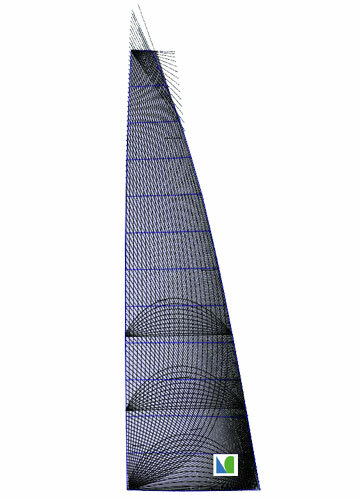 These sails fly with a projected luff for maximum power and stability. Usually constructed from .6 ounce - .9 ounce Spinnaker cloth.All our A2 Gennakers have structural luff rope and flat tapes for extra reinforcing around the edges. Lazy sheet preventers and clew strops for sheet peels are optional extras. 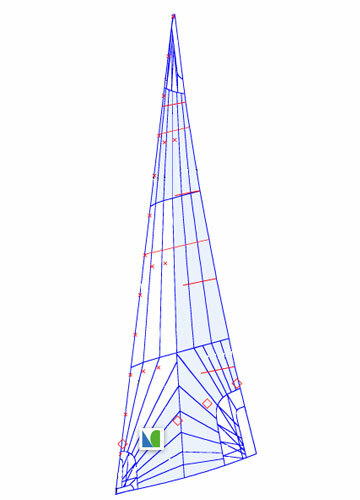 Lidgard Sails A3 Gennakers are reduced area reaching sails. A3 Gennakers are used at tighter reaching angles. These sails have reduced shoulder width and tighter luffs to optimize performance reaching. These sails can be constructed from heavy Spinnaker Nylon or Code Zero fabrics to minimize stretch offering maximum stability and reliability. All our A3 Gennakers have structural luff rope and flat tapes for extra reinforcing around the edges. Lazy sheet preventers and clew strops for sheet peels are optional extras. Lidgard Sails A4 Gennakers are from the same mould as a A2. An A4 is a mast head heavy weight cloth running Gennaker. Usually constructed from 1 ounce Spinnaker cloth. Suitable for offshore Yachts and Grand Pre race yachts that are often pushing the wind limits for a mast head Gennaker. All our A4 Gennakers have structural luff rope and flat tapes for extra reinforcing around the edges. Lazy sheet preventers and clew strops for sheet peels are optional extras. Lidgard Sails A5 Gennakers are a fractional running Gennaker. Used in heavy airs an A5 is a full shaped medium sized sail with a maximum luff length offering good stability and maximum power when running downwind. Usually constructed from 1.5 ounce Spinnaker nylon to increase longevity and reduce the risk of blow-outs. All our A5 Gennakers have structural luff rope and flat tapes for extra reinforcing around the edges. Lazy sheet preventers and clew strops for sheet peels are optional extras. Lidgard Sails A7 Gennakers are a traditional heavy air Gennaker. 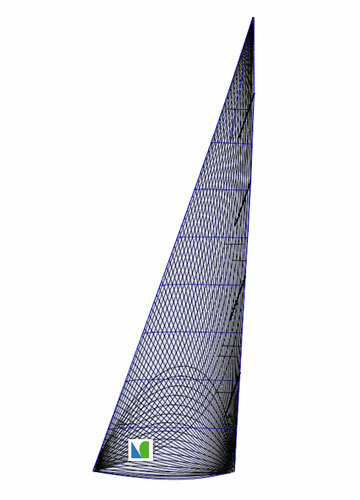 A7 Gennakers are flat cut with a tight luff and reduced area making these sails perfect for open ocean blast reaching / heavy air running. Constructed from 1.5 ounce nylon or Code Zero style laminate to ensure these sails are bullet proof. All our A7 Gennakers have structural luff rope and flat tapes for extra reinforcing around the edges. Lazy sheet preventers and clew strops for sheet peels are optional extras. Lidgard Sails S1 Spinnakers are flatter and slightly reduced area from a S2. These sails are used for chasing the breeze in light pole forward conditions. S1 are usually constructed from .4 or .5 ounce Spinnaker nylon. Lidgard Sails S2 is a full size Spinnaker an is the “go to kite” for most down wind sailing conditions. Usually constructed from .75 – 1 ounce Spinnaker nylon. Lidgard Sails S3 is a reaching Spinnaker designed with a flatter cut with narrow shoulders for tighter wind angles. 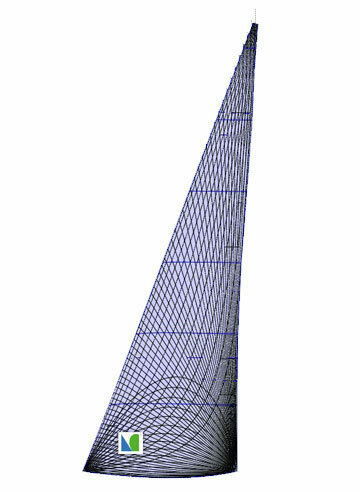 S3 Spinnakers are usually constructed from .75 – 1.5 Spinnaker nylon.